This current hot weather is expected to be short-lived so I had to get this vibrant Crispy Tofu Lemongrass Bowl in to my belly STAT. It is a balmy 34° C here (93° F) but Melbourne weather is a fickle lady and I know the rain is coming in the next few days accompanied by a temperature drop. 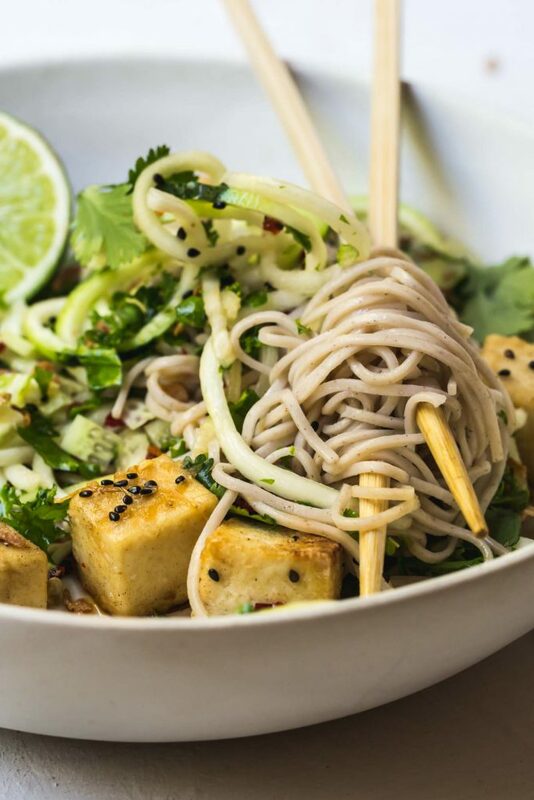 But not today; today is the perfect temperature for cold soba noodles entwined with raw zucchini noodles, gently massaged kale leaves, crispy skinned tofu and a spicy lemongrass dressing. Hot weather and I are not terribly simpatico. As reliable as the luna tides, my mood can be counted on to decline as the temperature increases. Thankfully, I live in a city where the Summers can be brutal but are not terribly long. I met the Husband while living up north where it is ALWAYS warm and to this day, I am surprised he still married me. I admit, too much sun brings out the cranky teenager in me complete with eye rolling, sighs and fan hogging. I may mutter under my breath sometimes too. In my defence, I do warn people of my affliction in case they have any funny ideas of you know…socialising or what not. Hot weather is just so damn sticky! 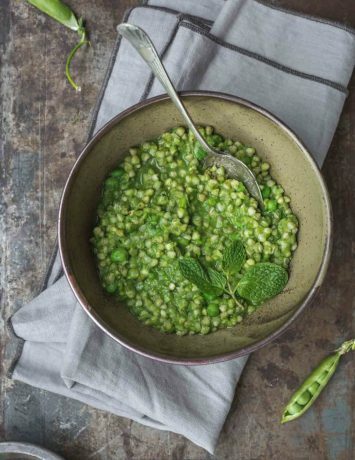 However, with the blistering heat and sticky bits comes refreshing, quick and wonderful food. This crispy tofu lemongrass bowl is all of the aforementioned. While there are a few elements to this dish, they all come together quickly and effortlessly to create a light but flavour packed meal. It’s also easily adaptable to most palates; if you like things spicier add another chilli to the dressing or if salt is your master add more soy or some salted peanuts to serve. I love soba noodles but you could easily substitute buckwheat or green tea noodles. 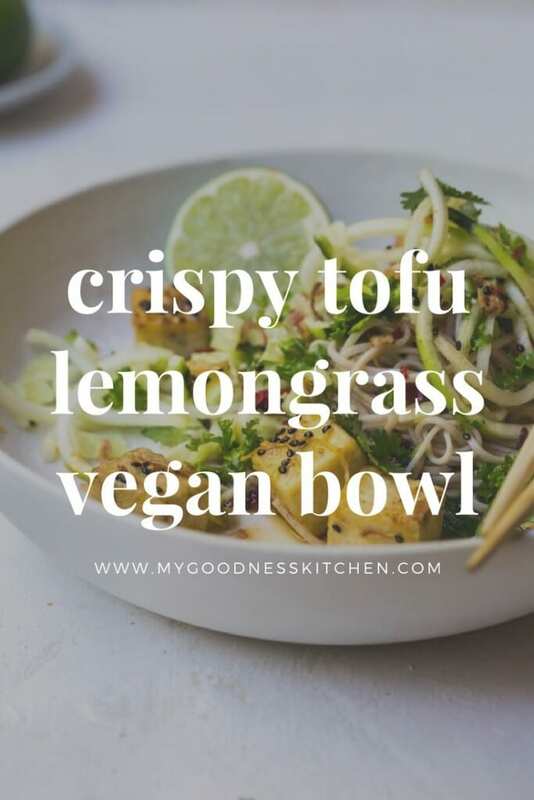 I make this bowl with firm organic tofu but chickpea tofu works beautifully too. For the chickpea variety you will need more oil to fry it up as it tends to stick a little. There is only one rule to crispy fried tofu; the drier the outer layer, the crispier the tofu. 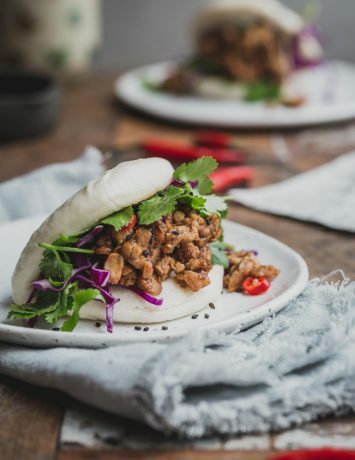 I drain my tofu and leave it wrapped in absorbent paper for five minutes before tossing it in all-purpose flour or potato starch for a gluten-free version with a good pinch of sea salt. After frying the cubes in a few spoons of sunflower oil, the tofu is fantastically crispy on the outside and soft on the inside. Perfect. If the hot weather insists on arriving each year I can take comfort in beautiful fresh plates like this crispy tofu lemongrass bowl. 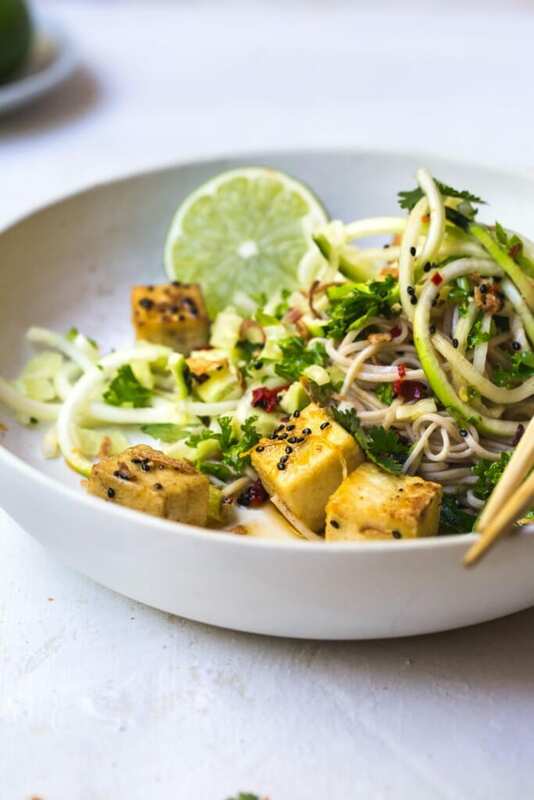 With it’s soft noodles and refreshing zoodles, crispy salted tofu and chilli lime infused lemongrass dressing, this bowl is refreshing enough to get me through the sticky but quick enough to prepare I don’t break a sweat. To prepare the lemongrass dressing, bruise the lemongrass stalk under the flat of a large knife. Heat the sunflower oil in a small saucepan or sauté pan over low to medium heat and add the lemongrass and finely chopped chilli. Cook for 1 minute, stirring. Add the sugar, water, soy sauce, lime juice and bring the mixture to a simmer. Cook for four minutes before adding the sesame seeds and removing the dressing from the heat. Set aside. To make the salad, cook the soba noodles according to the packet instructions (I cook mine for three minutes rather that the packet's four minutes) before draining them and running them under cold water. 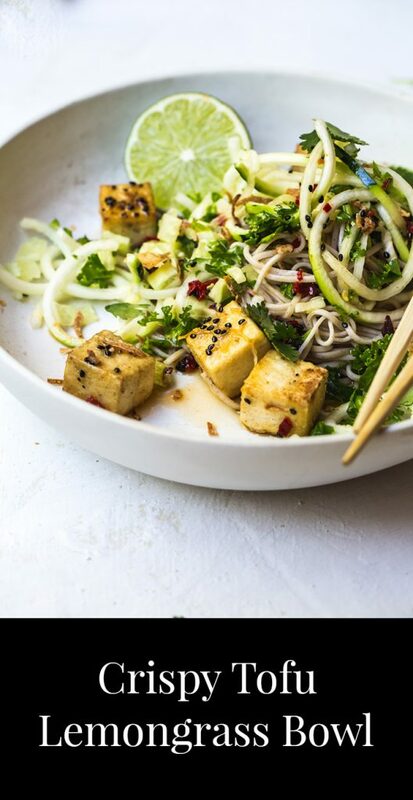 In a large bowl, combine the soba noodles with the massaged kale leaves and toss together. To make crispy tofu, drain the tofu block well wrapping it in absorbent paper for five minutes. Meanwhile, combine the flour and salt in a bowl. 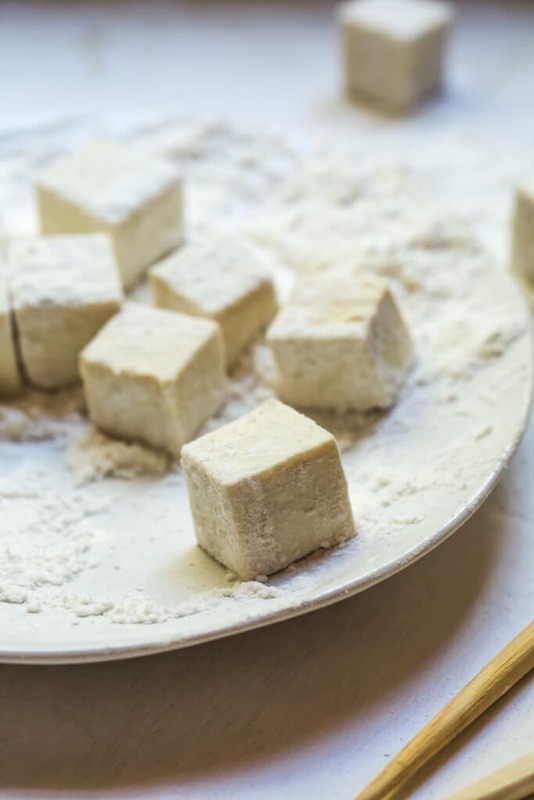 After five minutes, cut the tofu in to 1cm cubes and toss them through the flour mixture, shaking off any excess. Heat the sunflower in a fry pan or cast iron pan over medium heat until the oil spatters when you flick it with a few drops of water. In batches, fry the tofu cubes until each side is golden before placing the cooked cubes on absorbent paper. 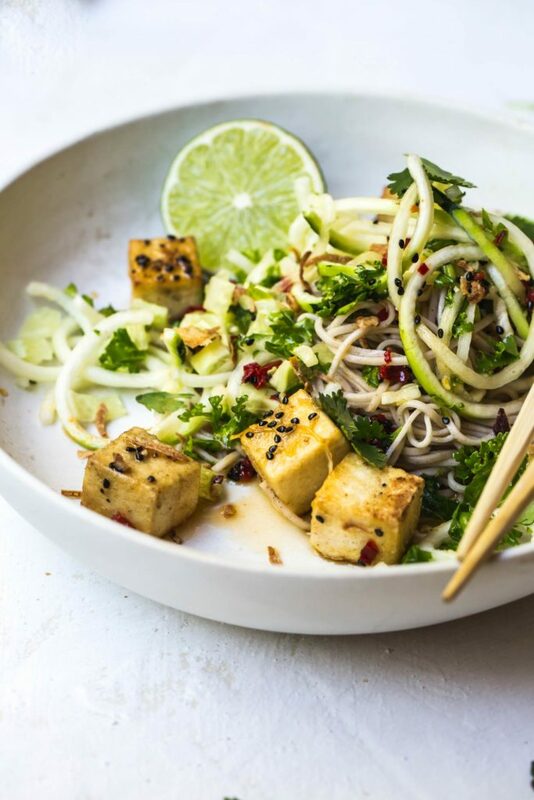 To assemble the salad, place the soba noodles and kale in each bowl before topping with a good handful of zucchini noodles. Add the crispy tofu cubes and finely chopped cucumber before drizzling a few spoons of the lemongrass dressing over the top. 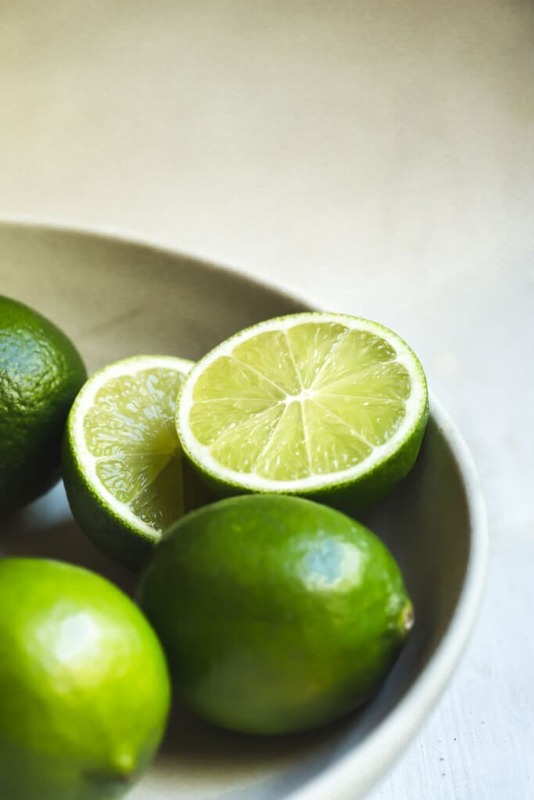 Finish with a sprinkling of chopped peanuts or crispy fried shallots and serve with a lime half. That’s awesome. I love that you’ve made the recipe your own. I’ll have to get the broth recipe from you. 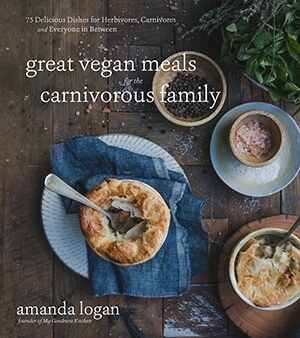 Just found your BEAUTIFUL blog as my family is focusing on whole foods plant based. Can’t wait to try your recipes! One suggestion, please have an option to print recipes without a picture to reduce the amount of paper. Thanks! Hi Heather, thanks for finding me! I use a program for my recipes so I will contact the creator and see if I can have the option of removing the images for printing. Great idea. Thanks so much. Hey Amanda, this dish is truly palatable. I would love to have this bowl for my lunch. Is there any alternative to using soy sauce? Hi Andreya, This is awesome in the warm weather and quick! I hope you enjoy it. Thanks for stopping by.